Published on September 15, 2017 in Lake Winnipesaukee Hotel. Closed Tags: fall festivals new hampshire, fall foliage, Lake Winnipesaukee Hotel. If you love everything pumpkin spice, scarves, and fall, you’ve come to the right place. There is no better way to see fall foliage than in the Lakes Region of New Hampshire. Luckily with a stay at the Center Harbor Inn, you will be centrally located to all of the fun fall fun happenings in the area. Located just down the road from the Center Harbor Inn, the Sandwich Fair will take place October 6-8, 2018. 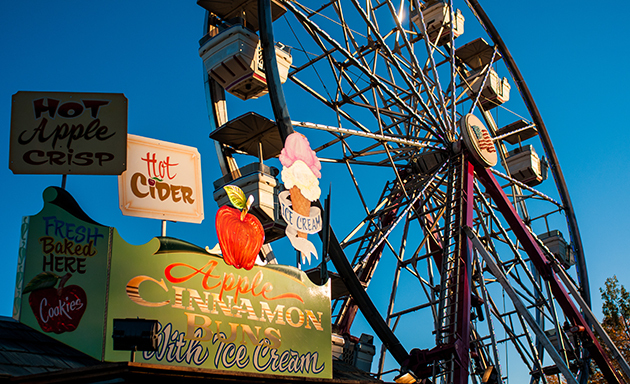 The fair is centered around the state’s agricultural roots, and each day you can attend competitions and demonstrations of a variety of animals. Special events include parades, a dog show, and an Oxen pull. On October 6th, admission will be free from 4pm-9pm for an opening night ride preview where you can pay $20 to go on all the rides. Admission all other days is $10 for adults, $3 for children 8-12, and children under 7 enter free. So, whether you go for the food, animals, special events, or the games and rides, you can’t go wrong with the Sandwich fair. Make sure you check out their website here for information on ticket sales and a schedule of events. The NH Pumpkin Festival, previously located in Keene, NH, has moved to Laconia and this will be its second year at this the new location. This The Pumpkin Festival has been a great addition to the Lakes Region and we could not be more excited for its return. Taking place on October 12th from 4-8pm and October 13th from 12-8pm admission is free to all. 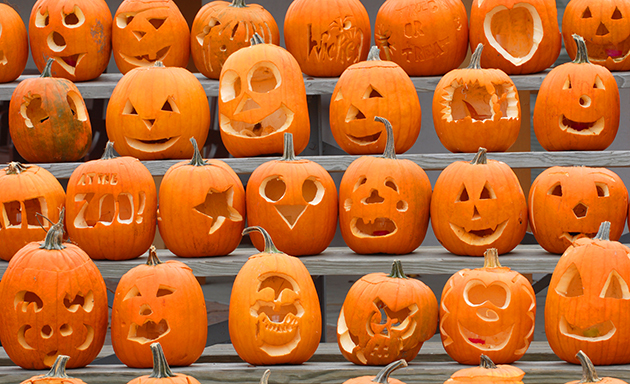 You can drop off your carved pumpkin or carve one out at the carving station, or just stroll the streets admiring all of the designs. For those 21+ there will be a beer garden, and plenty of amusement and kiddie rides for everyone. On the Saturday of the event, there will be live music playing all day long. There will also be a 200’ zip line attraction and horse drawn hay rides around the downtown area. Make sure you stick around later in the night for the Pumpkin Dump Derby. Check out their website here for more information on events. For Fall festivities, look no further than Beans and Greens located in Gilford, NH. 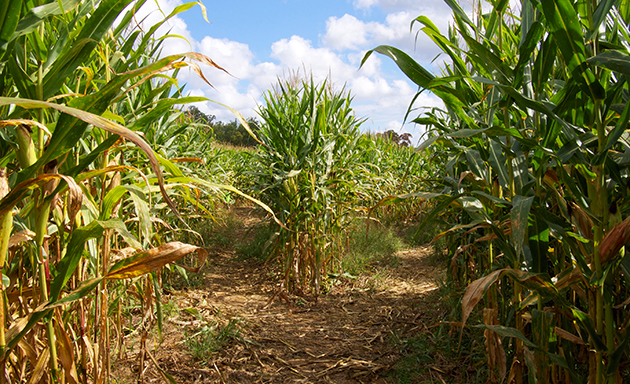 They have been offering the Lakes Region some of the best corn mazes for over 15 years. Designed to last for about an hour, this one is for all ages. The corn maze is typically ready for visitors during mid-September and is open every day of the week, and Friday & Saturday night by reservations. The night maze is fun as they add a haunted element and is only for those brave enough to enter. While you are there you will want to check out the farm stand for a local taste of the freshest New Hampshire eats. The corn maze and farm stand stay open through Halloween Weekend. Make sure to check out their website here for more information. Published on September 7, 2017 in Lake Winnipesaukee Hotel. Closed Tags: Lake Winnipesaukee Hotel, New Hampshire wineries, wine tasting New Hampshire, Wineries in NH. 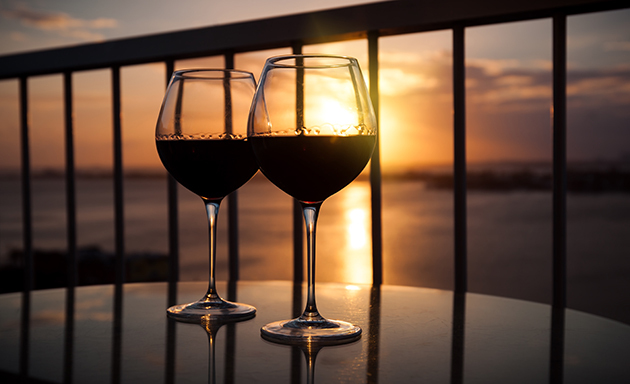 If you are a lover of wine then the NH Lakes Region is the perfect destination for you. Here at the Center Harbor Inn we are in close proximity to a variety of local New Hampshire wineries and we have created the perfect wine tasting tour for your stay in the area. Start your day off with continental breakfast at the Inn and grab a wine map from the front desk with directions to each winery listed below. Head out for a day of fun and let us know what your favorites are. Once you’re back take your purchases to your private balcony or deck where you can open a bottle of wine and watch the sun set over beautiful Lake Winnipesaukee. 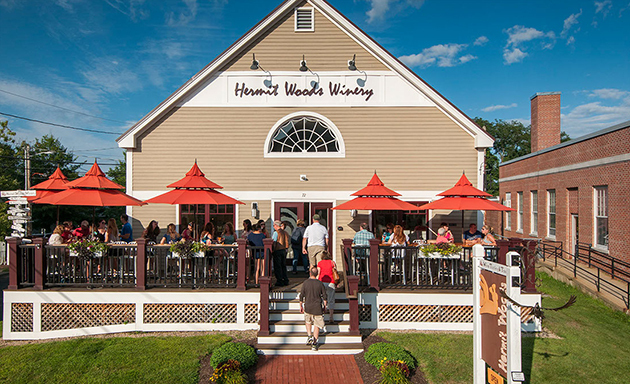 Start your tour off at Hermit Woods Winery located in the heart of Meredith, NH. Wine tasting is available anytime they are open which is, Sunday through Thursday 11am to 6pm & Friday and Saturday 11am-7pm. Wine tastings are $8 per person and includes your choice of six selections, you also get to take home a souvenir tasting glass. If you want a little more education on the winery they offer full tours for $20 per person and it includes a 30-minute tour of the facilities along with a tasting. Tours are offered every Saturday and Sunday from 12-5. Hermit Woods has recently opened a deli adjacent to their tasting bar where you can order a glass of wine and select food items including charcuterie plates and panini’s. The Center Harbor Inn has partnered with the winery to bring you some amazing fall Wine Packages, so check it out here. And visit the Hermit Woods website for more information on their wines and tours here. Previously the Newfound Lake Vineyards, the Winnipesaukee Winery moved to their location in Wolfeboro On August 12th. Located inside a large barn, the winery offers tastings alongside antiques for sale. Tastings are $7 per person and you get to keep a souvenir glass from the experience. If you participate in a tasting you get $2 off of a bottle of wine of your choice. Tasting room hours are Saturday & Sunday 12pm-5pm. For more information check out their website here. Okay, so by definition Mead isn’t quite a wine, but it’s definitely worth a visit. Located in Center Ossipee, the Sap House Meadery is New Hampshire’s First Mead Pub. Featuring tours, tastings, and a pub that offers specialty cocktail drinks made with their product, you could spend an entire afternoon here alone if you wanted to. Tastings are available whenever they are open and it is free to sample their signature meads, you can purchase an extra 4 tastings for $7 or $2 each. Tours are available only on Saturdays at 12pm for $10 per person and reservations are strongly encouraged. The hour-long tour takes you behind the scenes on an in-depth experience through how the mead is made. To check out their menu and more information on tours and tastings visit their website here. 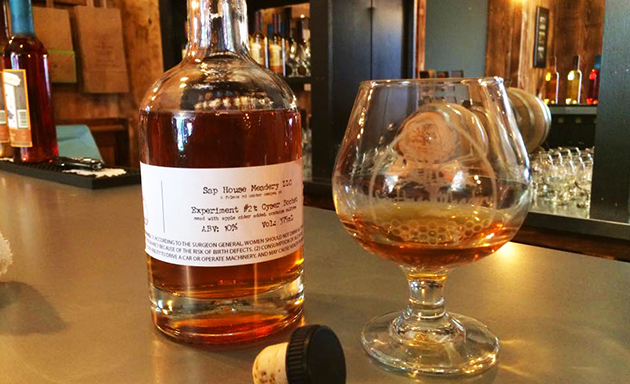 Located in Danbury, NH, Haunting Whisper is both a Winery and Distillery. Their wines include reds, whites and fruits. For spirits, they offer rum and brandy but plan to add whiskey and moonshine in the near future. The vineyard is located on a family owned 75-acre property with beautiful views of the mountains and lakes. If you are up for a hike this place is great to hit up on the way either in or out of hiking Mount Cardigan. Cardigan had a fire many years back and the entire top of the mountain is treeless granite which makes for amazing views. The winery is open in May-November, Wednesday through Sunday from 12pm to 5 pm, and in December Saturdays & Sundays from 12pm-5pm. Check out their website here for more information on their wines and spirits. The Whippletree Winery located deep in the woods of Tamworth, NH craft their award-winning wines in a traditional way. They make a variety of wines from whites and reds, imports and fruits, to a few specialty selections. Their tasting room hours run from Friday through Sunday 12pm-6pm. It is strongly encouraged to visit by appointment, so check out their website here for contact information and a wine list.